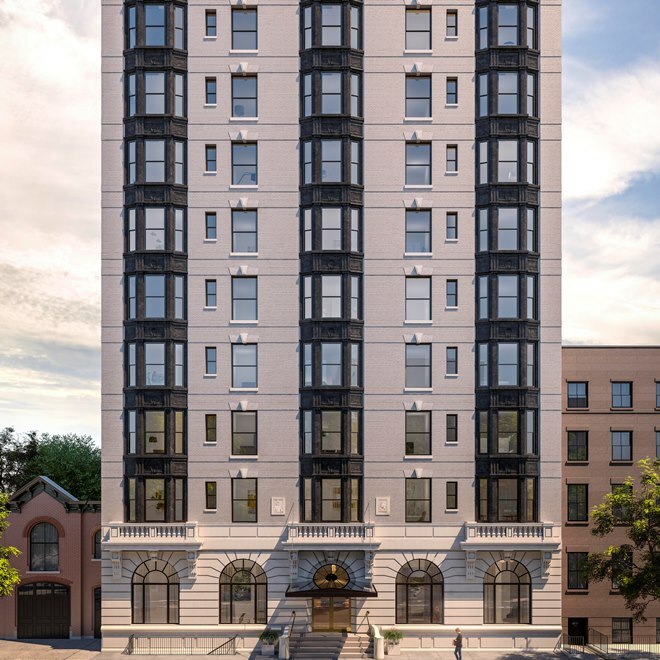 The Standish at 171 Columbia Heights is a Beaux-Arts building reimagined by DDG and Westbrook Properties into a limited collection of new luxury condominiums. 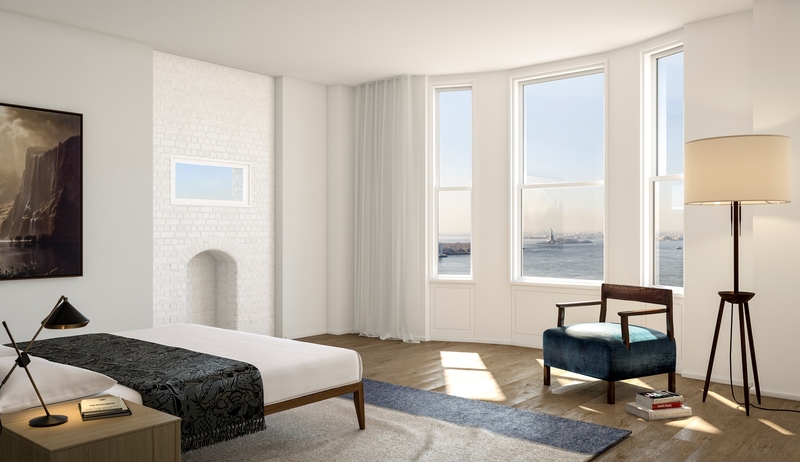 Nestled among classic brownstones in the heart of Brooklyn Heights, The Standish presents a singular opportunity to own a premium residence located steps away from the Promenade with wide views of the New York Harbor and the Manhattan skyline. The façade is a balance of formal brick, terra cotta and limestone, with high-arched ground-floor windows. Layouts are cleanly modern with large bay windows as a nod to the grand living spaces of Old New York. 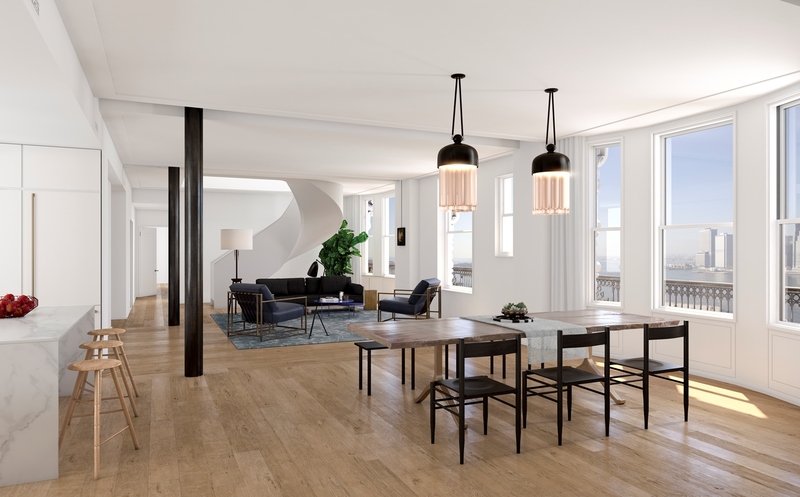 One- to five-bedroom residences are available, all featuring 9’6” ceilings in living spaces, 7.5” wide Austrian Oak white oak flooring, Italian Cararra marble slab countertops, custom-designed cabinetry, Fantini natural brass fixtures and high efficiency climate control. Amenities throughout the building include a landscaped roof terrace with harbor views, 24/7 concierge & doorman services, a fitness studio and a children’s playroom. Additional private storage and bicycle spaces are available for purchase. Sponsor makes no representations or warranties except as may be set forth in the Offering Plan and reserves the right to make changes in accordance with the terms of the Offering Plan. The complete offering terms are in an offering plan available from Sponsor. File No. CD14-0305. Computer and/or artist renderings reflect the planned scale and spirit of the Building. All depictions of property, including without limitation any interior furniture, equipment, decorations, finishes, fixtures, appliances, furnishings, and planters are for illustrative purposes only. Sponsor makes no representation as to the continued existence of any of the named establishments located in the neighborhood. Sponsor makes no representation that future construction in the neighborhood surrounding the Condominium will not result in the obstruction of the views from any windows, roofs, and / or terraces. Nestled alongside brick and brownstone townhouses on the tree-lined street of Columbia Heights, the building provides a sanctuary from the Manhattan bustle just minutes away across the East River.